"Technology is so much fun but ... the fog of information can drive out knowledge." This Daniel Boorstin quote regarding the computerisation of libraries is from the New York Times in July 1983. 35 years on, it is probably more relevant now than it was then. The demand by attendees to be active participants during events has led to an increase in the use of technology. And when integrated well, technology can have an incredibly positive impact on the outcome of the event and the experiences of the attendees. However, there are also many pitfalls along the way that can have the opposite effect. Just as Dr Boorstin said, ‘technology is so much fun’, and we are so curious! If you give us something we can ‘play’ with, we will! This is where a careful balance has to be found between incorporating technology into what you are doing to enhance engagement but not detract from what you are trying to achieve. Sometimes less is more. The key message from this article is this – always remain focussed on the objectives of the event. For those of you that know us well, you will be all too familiar with us asking you about the event objectives! These are the reasons you are having the event in the first place and its success should be judged against these objectives alone. This means that whatever technology you decide to incorporate needs to add value and enhance the outcome that would have been achieved without it. Therefore it will need to adapt and fit with the event and not the event be tailored to suit the incorporation of a certain piece of technology. The latter is likely to lead to entirely different outcomes from those that you intended. Being able to determine event ROI is becoming ever more important and technology is a very useful tool in helping to monitor and measure this return. It is crucial to remember though that the technology itself needs to also be assessed for its ROI to determine whether it added the value expected or impacted the event in ways not foreseen. It is easy to get carried away with the technology you are looking to utilise as there are so many options and features available to provide information for attendees, and for you. 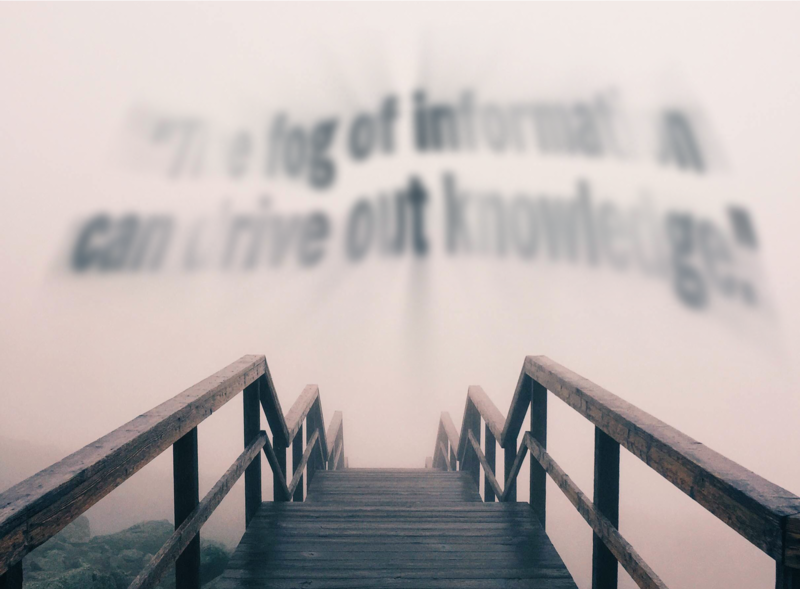 But this ‘fog of information’, as the quote states, ‘can drive out knowledge’. Information overload for attendees should always be of concern to you to ensure that only the information needed is incorporated within the technology used. If there is too much information, attendee engagement will reduce as they will either be paying more attention to the technology than the speakers themselves, or not bothering to utilise the technology at all. 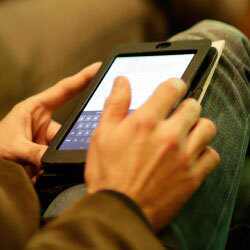 Event technology can generate reams of data that you will need to analyse after the event. But was all this data needed? If not, the information you actually need may get lost amongst all the data collected. Also, it’s worth bearing in mind the attendees’ experience when incorporating data collection into the technology used. If attendees feel like they are being ‘milked’ for information, it will have a negative impact on their event experience. This is why it is beneficial to select your technology partner early in the process and work with them to find the best solution for your event. Make sure that they listen to your needs and truly understand what outcomes you are trying to achieve. Ask them for recommendations and see if their suggestions fit with the event objectives. This will help you determine whether they will be best placed to help you meet, and hopefully exceed, these objectives. Also having them involved early will provide the timescales needed to determine and produce the best solution to suit your event needs… and budget. When reviewing the feedback after an event, which of the following would you be most happy to see? For us, it would be the last example as this shows that the objectives of the event were being met and the technology used truly supported this without detracting from it. The event technology employed was invaluable yet in many ways transparent – a supporting actor if you will. If you would like to know more about how we can help support your event, contact us to arrange a demonstration.